Wells Fargo Bank N.A. Wells Fargo Bank will pay $1,984,047.03 to the State of Vermont as part of a $575 million 50-state settlement resolving claims that the bank violated state consumer protection laws. Claims include opening unauthorized accounts without customers’ knowledge or consent, improperly charging auto loan customers for unnecessary insurance, failing to provide refunds for certain auto financing products, and incorrectly charging mortgage customers fees for extending rate locks. Through this settlement, Wells Fargo will create a consumer redress review program through which consumers who have not been made whole through other restitution programs already in place can seek review of their inquiry or complaint by a bank escalation team for possible relief. Wells Fargo will create and maintain a website for consumers to use to access the program and will provide periodic reports to the states about ongoing restitution efforts. Wells Fargo’s contact information and a website address for the program will be available on or before February 26, 2019. Once this information is available, the Attorney General’s Consumer Assistance Program will post this information on its own website. Fiat Chrysler and Bosch. The State of Vermont also announced environmental and consumer settlements with Fiat Chrysler and Bosch for allegedly undermining auto emission regulations and harming consumers by adding unlawful “defeat devices” to diesel vehicles. The State will receive a total of $907,000 for consumer and environmental violations. Fiat Chrysler will pay the State of Vermont $362,428.34 ($204,303.34 for environmental violations + $158,125 for consumer violations). Bosch will pay the State a total of $544,550 for environmental and consumer violations relating to Fiat Chrysler and Volkswagen vehicles sold or leased in Vermont. The Settlements must still be submitted to the Vermont Superior Court for final approval. Two hundred fifty-three of the affected “EcoDiesel” engine vehicles were sold in Vermont. Vermont consumers will receive benefits via a class action settlement involving both the federal government and the State of California. That settlement was filed on January 10, 2019 in the U.S. District Court for the Northern District of California. Under that settlement most consumers will be eligible for software fixes, extended warranties, and cash payments. The final approval of that settlement is anticipated around May 1, following which a consumer claim period will open. The settlement with Fiat Chrysler will resolve the State’s claims that Fiat Chrysler sold 2014-2016 Ram 1500s and Jeep Cherokees equipped with “EcoDiesel” engines which had undisclosed defeat devices. The defeat devices caused the vehicles to emit higher levels of nitrogen oxides (NOx) during driving than during testing, in violation of Vermont’s emission control regulations. The vehicles were marketed to Vermont consumers as environmentally friendly. The State alleges that Bosch facilitated both Fiat Chrysler and Volkswagen’s use of defeat devices by supplying the engine control units containing the software used for defeat devices. Career Education Corporation. For-profit education company Career Education Corp. (CEC) has settled with the State of Vermont over unfair and deceptive practices relating to misrepresentations about quality of education, employment prospects, and costs of student loans. 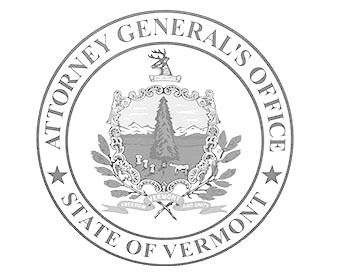 CEC has agreed to reform its recruiting and enrollment practices and forgo collecting about $493.7 million in debts owed by 179,529 students nationally, in a settlement with the Vermont Attorney General’s Office and 48 other attorneys general. The State will receive $50,000. There are 129 Vermont students impacted, and they will receive approximately $270,000 in debt relief. CEC is based in Schaumburg, Illinois, and currently offers primarily online courses through American InterContinental University and Colorado Technical University. CEC has closed or phased out many of its schools over the past 10 years. Its brands have included Briarcliffe College, Brooks Institute, Brown College, Harrington College of Design, International Academy of Design & Technology, Le Cordon Bleu, Missouri College, and Sanford-Brown.